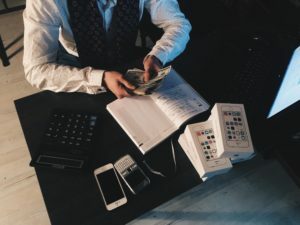 How to save serious cash? I pay all bills first then what’s left is my spending money. Baring in mind, I treat my savings as an expense. Open a savings account and set a savings goal. Make sure it’s a fixed deposit account, this way your money will be posted for a stated period while gaining interest. This will motivate and force you to save money without touching it. I signed up with ACORNS and I am now saving money from every dollar I spend. What they do is take the spare change from your purchases. Not just that, but every dollar that I save goes towards investments so I am able to earn as well. If you sign up with me you will be able to earn an extra $5 dollars. Cut your landline. Cell phones are way more convenient than land-lines and serve the same purpose as a landline. Landlines are entirely unnecessary if you’re not running a business. However, cell phones can be expensive; there are many mobile networks out there that offer cheaper service than well known wireless services such as Republic Wireless, based on my research they offer the most affordable cell phone package starting from $10 a month. DIY (Do-it-Yourself) I am a huge fan of using hands to make fashion, not literally but some things aren’t rocking science you don’t need a plumber to unclog your drain. Visit the home depot. Avoid Impulsive buying. I remember when a friend of mine use to tag me along whenever she goes out because of course I was car-less and she would literally shop at every store. This was terrible because the more stores I went to the more I felt compel to buy especially after seeing her bought all those nice stuff. Cook more eat out less. Oh, Lord! I love food my hobby is dining. I love trying new foods and new restaurants. Eating out less is a major break in cutting debt and saving, eating out is costly and unhealthy so by cutting back you are doing yourself a favour. Meal Planning. Plan your meal ahead, try having a notebook to write down the meals you plan to prepare. This idea will help you to avoid buying additional food that will more likely be tossed in the garbage. Shop At WholeSales and Cheaper Stores. Some Supermarkets are way too expensive so; I try to ensure I shop at the cheapest store to get great bargains. My favourite grocery store to shop on a budget is Aldi, Trader Joe’s, Fareway, Wholesale stores and Farmer’s Market. Use cash and saving coupons app: Ibotta is a cash and saving coupon company that pays you cash back money for whenever you shop at participating stores, such as CVS, RITE AID, Walmart, Shop n Save and lots more. 100% of your Ibotta earnings can be transferred to Paypal or Vemo. You can also convert your earnings into a Gift card. I personally use Ibotta, and I think it’s a great way to save an extra buck. In my first week, I save $20. That $20 could go toward gas, bills, lunch, savings or even your groceries. As Jamaicans would say “Every Mickle Make A Muckle”. Get $10 just joining here IBOTTA and each week you would get an extra $5 until you earned a full $20 for using the app. Start earning cash from your grocery purchases. Buy thrifty! I have personally found some great items at the thrift stores such as clothing, shoes, bags all brand new, brand name items from $5-$10. No shame in my game. I’m Thrifty! Buy in bulk. Shop at Bj’s Costco, Sam’s Cub, Price-mart, etc. Aim for essential items you will need. Bulk buying will enable you to save way more as items will last longer, therefore minimising your grocery list. Control your Utilities. During winter the gas bill goes up, electricity goes down. In the summer vice versa. My! My! Can’t a girl catch a break? While living on my own, I did not understand the thermostat and boy! Did I learn the hard way. A friend of mine told me to put the thermostat at a comfortable temperature and ever since then my bill was cut in half. Also, during the summer use fans instead of the A/C. Keep the change. Collecting loose change is my hobby when I was younger, I would make bank from my little cookie container. I still do have one and also a Spong-bob bank, if that makes sense. I now have $100 in change from my SpongeBob bank. Can’t you tell I am a SpongeBob fan? You can actually get them in any character. Great for kids as well. 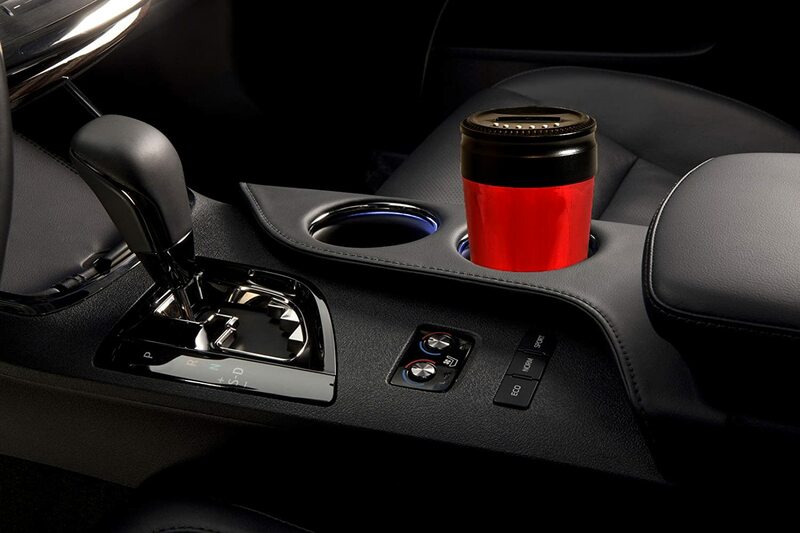 Piggy Cup: This is ideal for your car, to keep all those loose changes in your vehicle in one place. THIS IS PERFECT!!!! Use the public transport or carpooling. I hated not having a car but not having one made my pocket smiled even more. The insurance, gas, loan, upkeep all went in my pocket. Instead, I had a weekly bus pass. However, I use Uber or Lyft when travelling to certain areas because it’s cheaper and more convenient. But avoid cabbing or Ubering unless it is necessary. To get a FREE RIDE with UBER use code: ncb4l or click on FREE RIDE. Avoid extra fees. Try exercising at home or the park rather than joining the gym. I do love the gym, but I hate waking up to go there, most of all I hate paying for it. (Those hidden fees). Take advantage of discounts. YES! All the time strive to get a discount as much as possible. My favourite stores to shop for great savings is Burlington Coat Factory, Ross Dress for Less and Sometimes Walmart depending on what I need and if they have a sale. Check for recurrent store sales and use holiday sales such as Black Friday, Labour Day or 4th of July sales. I always receive huge savings from these events. I once bought a $300 Jacket for $49. STOP SMOKING & DRINKING!!! I made this big, bright and bold because this is a serious matter. Smoking is one of the leading causes of deaths in America and around the world. Not only does abuse of alcohol and smoking kills you slowing; it is expensive. Going to the bar every day or even every week is costly. How much is a glass a beer on average $5-8? Not to mention tips you must tip your bartender, come on that’s rude not to. But, I’m sure you see where I am heading here. How much is the cost for cigarettes? 10 to 14 dollars depending on the state and brand cigarettes. You do the math you will see at the alarming cost that these unsubstantial items cost you. Don’t move out just yet. I would suggest you rather not move out your family home unless you need to. If I didn’t move from Jamaica, I wouldn’t have left my parents house until I was moving in my own home. Other options are, renting a cheaper apartment, or getting a roommate. If you own a home, try thinking about renting the spare room/s. I guarantee you by implementing these tips you WILL save a lot more money. I was able to do the on a waitress salary. Hence if I can do this, you can too. Hi I loved your post, I am a blogger for minimalism/simpler living this is the kind of post that is right up my readers alley. Thanks again for the great post.